You know the saying “If it looks like a duck and quacks like a duck, then it is a duck?” Well, that saying doesn’t always apply to every situation. 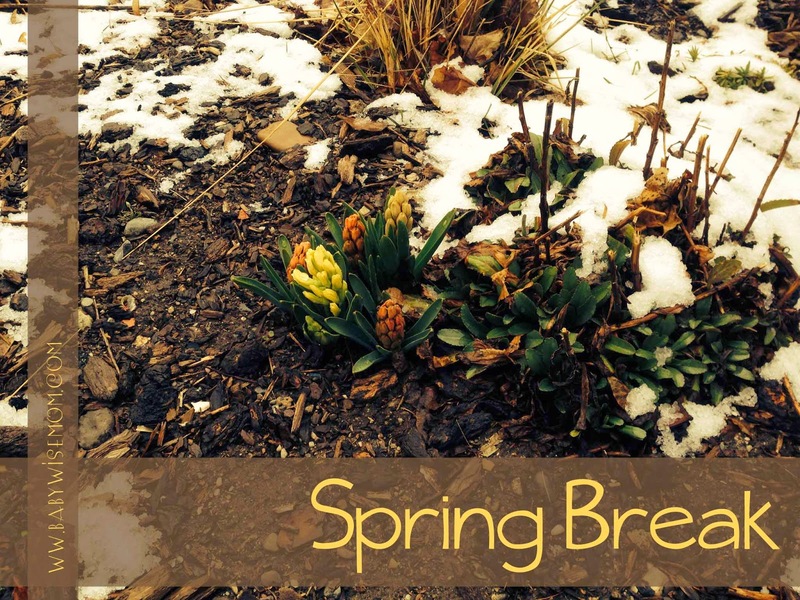 The weather may not be looking like and sounding like spring, but never-the-less, it is Spring Break! And so I will be taking a break this week from blogging to spend time with my family. Have a great week! For some reading this week, I thought I would direct your attention to some of my most popular posts from 2007. There aren’t a lot of posts from that year since I started in November, but many of these are still my most popular posts on this blog. These are in no particular order. 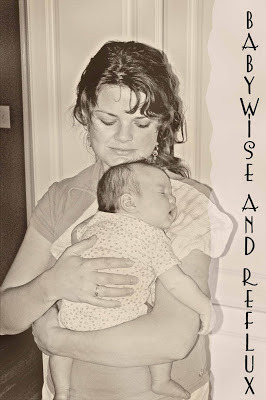 Thanks so much for your posts, they have been very helpful in navigating Babywise. 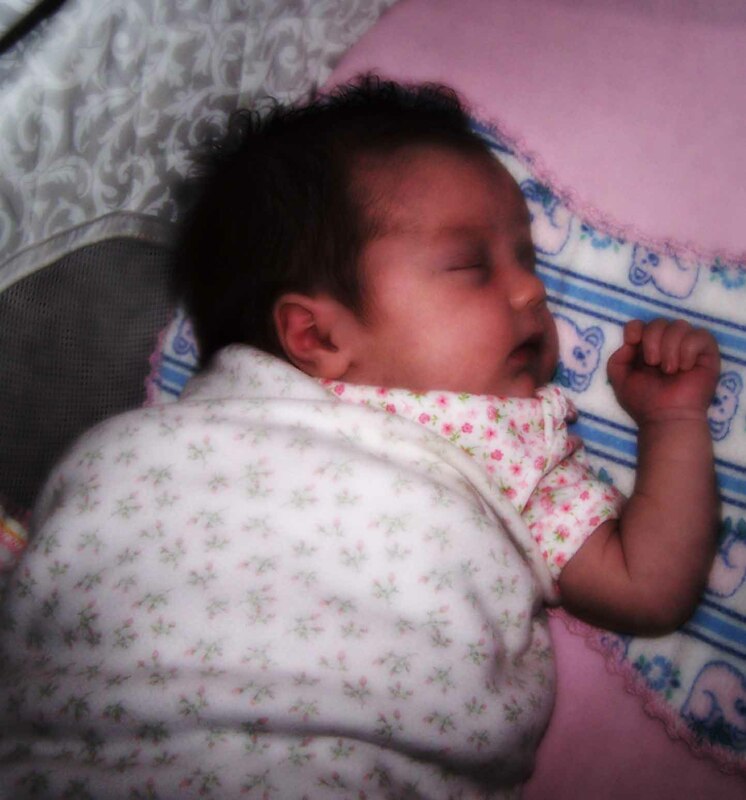 I have a question about baby sleeping through the night that I can't seem to solve. My 10 week old son was on a great schedule, I fed him at 10:30pm, he woke at 3am to feed, and slept until 7am to feed again. About a week ago he started waking hourly between 2am and 5am. I am trying to move his first feeding of the day to 5:30 or 6am because I have to return to work in 2 weeks. But at his 3am, 6am, and 9am feedings he will only nurse one side. Even if he stays awake, he won't nurse both sides. I feel like he may be nursing at 2:30/ 3am out of habit, and I'm wondering if I could get him to drop this feeding would he eat better at 6am. I just can't seem to wean him from it. His typical daily schedule looks like this: 6am- feed, back to bed; 9am- feed, diaper change, wake time; 10am – nap; Noon- feed, wake time; 1pm – nap; 2:30pm – feed, wake time; 3:30 pm – nap (this is a difficult nap, he's usually fussy); 5:30 or 6pm – feed, wake time with Dad; 8pm – feed, bath time, down for nap; 10:30pm – feed, diaper change, down for the night; 2:30 or 3am – baby wakes, nurses one side, back to bed; 4am – wakes, we let him cry it out for a few minutes, a pacifier settles him down for about an hour; 5am – wakes, I usually let him cry it out until about 5:30am and I nurse him, but he's only interested in nursing one side. I'm out of ideas. What do you think we need to change? Thank you! I am so glad it is helpful! You want to figure out why he is waking. Is he cold? Is he uncomfortable? Is he sick? I agree that he isn't likely to be hungry every hour. He could even be waking out if habit at 2, not eating much because he isn't really hungry, then getting in a snacking pattern. To break the 2 am feed, some would do CIO. I like to do feeding less and less over time. Your posts have been helping me so much and I want to say thank you! I'm a new mom and want to be successful at breastfeeding but I feel as though I may have messed it up already.. I started taking fenugreek right when we came home from the hospital with our son.. 3 capsules a day, 3 times a day. This was before my milk even came in. So I have been taking it since then and he is now 3 weeks old. I only started taking it because I wanted to produce extra milk to create a stock pile in the freezer, which was a big mistake because now I don't want to take it anymore and am worried that my body thinks it needs it in order to produce milk. I haven't been pumping the last few days because my baby has been in a growth spurt and has been drinking it all! He went from 7lbs 3oz to 9lbs 4oz at his 3 week checkup yesterday. Am I giving him too much milk? Should I back it down and pump at each feeding to let my body know there is still a demand? Or will my body adjust ad still give my baby enough milk if I back it down and eventually stop taking it? Thank you in advance for any answers from anyone. I don't want a stock pile any more, I just want to feed my baby from my breasts. Most people don't need fenugreek. I would bet you can stop taking it without a problem. If you are worried, you can take 2 capsule for a few days, then 1 for a few, then none. But that just helps you produce–it doesn't produce. Just be sure you are drinking plenty if water and eating smart. As for the pumping, I would wean off of that just so you don't get clogged ducts or mastitis. So I would cut back one pumping session a day for 3-5 days, then cut another, etc. Good luck! Thanks! We are trying to figure it out. I think he wakes out of habit. Last night he woke at 2:45am, husband and I took turns with him, and each time we would go to lay him down in the crib he would start crying again. Finally at 4am out of frustration and exhaustion my husband put him in his crib, and we let him cry. After 10 minutes he was asleep. He woke at 5:30am and I nursed him, he took a full feeding, and slept/ played happily in his crib until I went to get him at 8:45am, and nursed him at 9am. I'm glad we are done with the snacking pattern, I'm hoping he will sleep through the night soon. We are all so tired! Hi! Your site is so helpful. Thanks for putting in all of the time to answer our inquiries! I was wondering about night feedings. Our 11 week old little girl (12 wks on thursdsy) has done so well on the 3hr schedule. Great naps, easily puts herself to sleep etc. 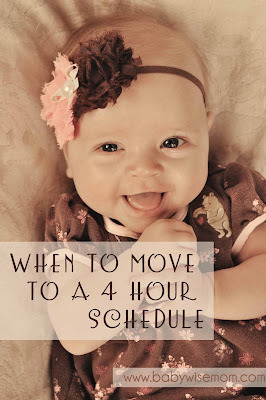 BUT she has maintained a 3hr schedule round the clock, even in the middle of the night. We do an 8-8 schedule of 3 hr slots so even at 11pm, 2am, and, 5am she is waking up to eat. She sleeps sound between these feedings and we have let her fuss/cry for up to 15 minutes thinking she will fall asleep but she holds out. She isn't cold, wet, etc. It's strange bc even if we have to adjust our schedule on the rare occassion and she goes down for the night at say 9 then she will wake at 12am, 3am, then 6am maintaining those 3hr increments. Any suggestions?